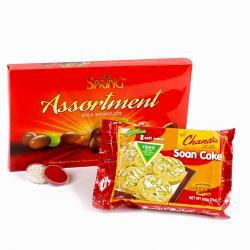 Product Consists : Spring Singapore Merlion Hazelnut Milk Chocolate Pack (Weight : 140 Gms) along with Box of Nankhatai cookies (Weight : 200 Gms) and Pack of Roli Chawal. Delight your beloved brother with this heartwarming hamper on this special occasion of Bhai dooj and bring smile on his face. 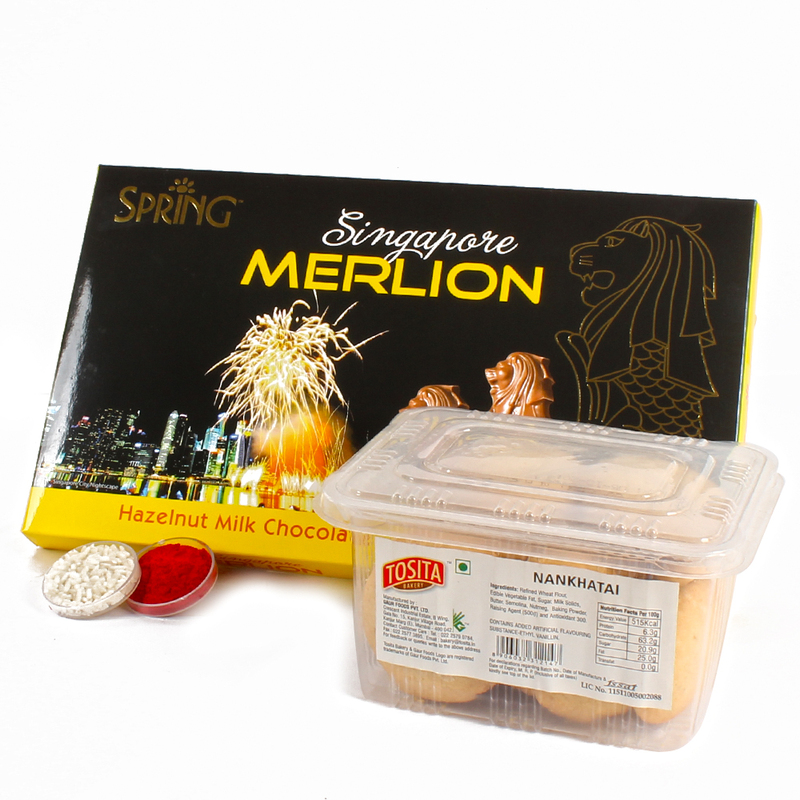 This hamper includes a Spring Singapore Merlion Hazelnut Milk Chocolate Pack along with mouth watering Nankhatai cookies is also to treat your brother. 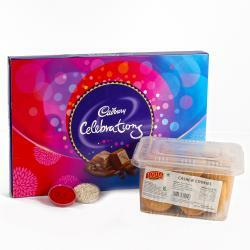 This hamper is all set to make the Bhai dooj celebration special for him. 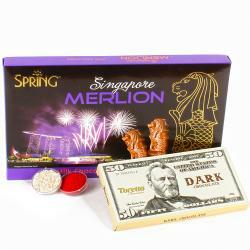 Product contains : Spring Singapore Merlion Hazelnut Milk Chocolate Pack (Weight : 140 Gms) along with Box of Nankhatai cookies (Weight : 200 Gms) and Pack of Roli Chawal.